The first project of the famous Spanish architect Antonio Gaudi, Casa Vicens (casavicens.org), quickly became one of the most visited museums in Barcelona. The museum opened its doors on November 16, 2017 and the first year it was visited by nearly 43,000 people. The remarkable 15-room building will retain its original design and decoration according to the architect's sketches. The museum will be officially opened in October 2017 and will present original exhibits of Gaudi's design projects. Among the unique interiors both permanent exhibitions and seasonal ones will be exhibited. 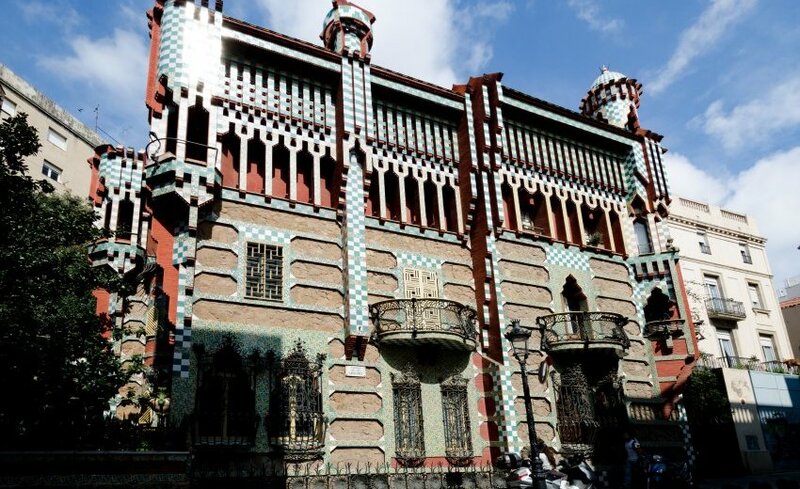 The construction of Casa Vicens took place in the years 1883-1885, the house being designed for the summer residence of the wealthy local entrepreneur Manuel Vicens. In 1899, he sold the house to the Jover family, who has been its owners for more than a century. In 2007 Casa Vicens was put up for sale. In 2014, the building was purchased by Private family investment bank MoraBanc with the intention of being converted into a museum. The building is interesting not only because it was designed by Antonio Gaudi but it is also known as one of the first models of modernism style in architecture. Unlike anything built earlier in Catalonia, Gaudi’s Casa Vicens demonstrated unexpected interpretations of Catalonian construction traditions through decorative and symbolic elements, including the extensive use of colors and mosaics. The layout of the building reflects the creative freedom that will become a distinctive feature of Antonio Gaudi's career as an architect. The house was created in the aesthetics of the Catalonian Art Nouveau and is an example of the aesthetic renewal of art and architecture in Europe at the end of the 19th century. A major restoration began with the idea that Casa Vicens will become a museum in April 2015. The restoration of the building included a thorough review of each of its ceramic elements and the replacement of the originals by reproductions using the unique Trepa technology. The same technique was used more than a century ago by Gaudi for the construction of Casa Vicens. Antonio Gaudi’s creative manner synthesizes Byzantine style, neo-gothic, baroque, elements of Arabic culture and, of course, national Catalan architecture. Such a peculiar artistic method has not been widely spread in architecture, but subsequently it becomes the business card not only of Catalan but also of Spanish architecture. And Antonio Gaudi remains the creator who managed to reveal the contemporary architectural face of the Spanish capital. Every year on April 22nd Earth Day celebrates the anniversary of the birth of the modern environmental movement in 1970. Glass has found its leading position in modern architecture, with an increasingly wider application as a structural element. Ranking of the most green or the most sustainable building in the world is almost impossible to do, so we chose to present some of our favourites. Chiloe Island is the birthplace of an incredible local tradition - la minga de tiradura de casas – the annual relocation of the inhabitants' houses.